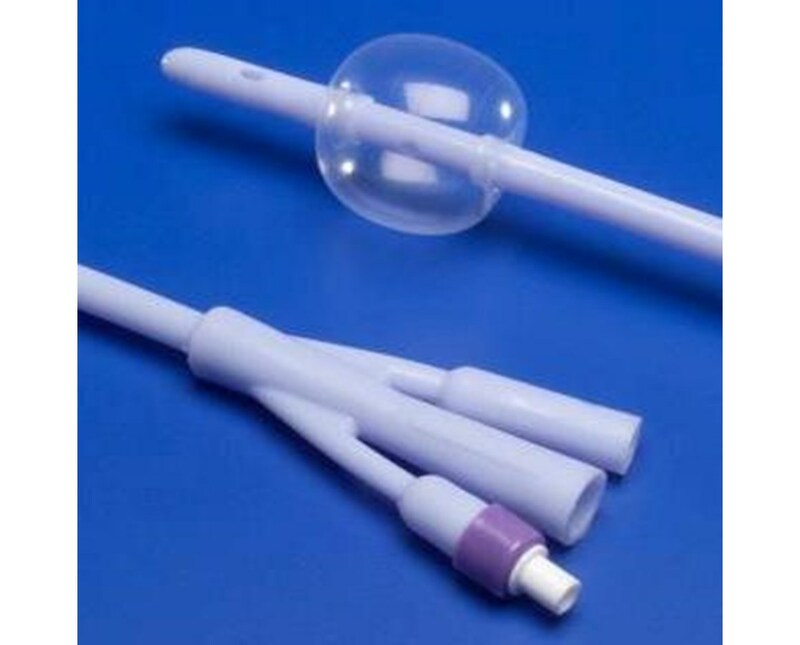 The Dover 100% Silicone Foley Catheter is designed out of 100% silicone material, which is preferred for medical devises today. Silicone causes less urethral irritation, stricture and encrustation compared to latex. This catheter features a smooth, separately molded, reinforced tip that resists buckling. The deep stylet pocket accepts the stylet securely. Its bullet shape eases insertion and causes less tissue trauma. The eyes are large and oval shaped ideal for maximum drainage. The smooth hand finished design will prevent urethral trauma and not allow material to obstruct the drainage lumen. A ribbed balloon increases the strength and symmetry. Silicone makes the insertion process comfortable and allows a smooth balloon to shaft insertion. The shaft is soft and flexible, non-rigid with a one-wall construction. It has a 30% larger inflation lumen due to patented extrusion process, which allows for greater flow rates. The funnel is separately molded and ribbed assuring proper seal to the drain bag and connector along with various irrigation syringes (luer lock and luer slip syringes). 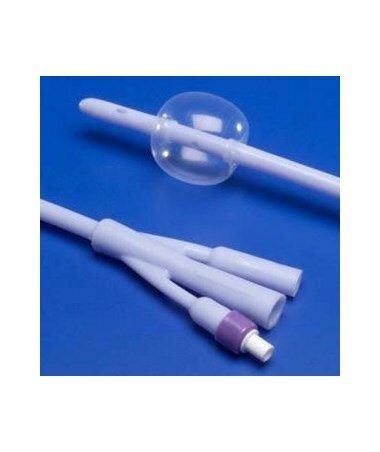 Purchase the Dover 100% Silicone Foley Catheter right here online, select a size from the drop down above and press add to cart! Designed out of 100% silicone material, which is preferred for medical devises today. Silicone causes less urethral irritation, stricture and encrustation compared to latex. Smooth, separately molded, reinforced tip resists buckling. Deep stylet pocket accepts the stylet securely. It is bullet shape which, eases insertion and causes less tissue trauma. The eyes are large and oval shaped ideal for maximum drainage. The smooth hand finished design will prevent urethral trauma and not allow material to obstruct the drainage lumen. A ribbed balloon increases the strength and symmetry. The shaft is soft and flexible, non-rigid with a one-wall construction. 30% larger inflation lumen due to patented extrusion process, which allows for greater flow rates. The funnel is separately molded and ribbed assuring proper seal to the drain bag and connector along with various irrigation syringes (luer lock and luer slip syringes).